The BARILOCHE Solar Pool Cover Blanket is smart for the environment, smart for pool enjoyment, and smart for the pocketbook. 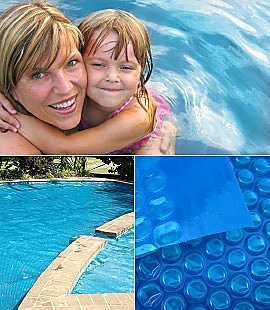 A material contains thousands of tiny bubbles which work to trap your pool's heat, conserving the heat that would otherwise be lost by evaporation. 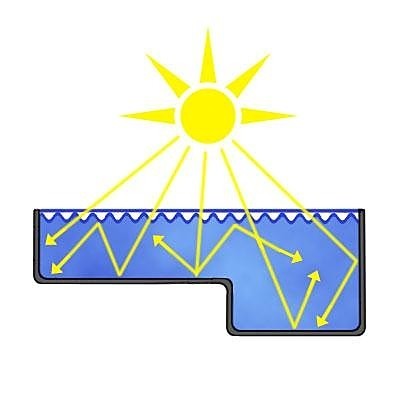 Pool evaporation is prevented by up to 99.79%, and the pool's water temperature is increased by up to 8 degrees. 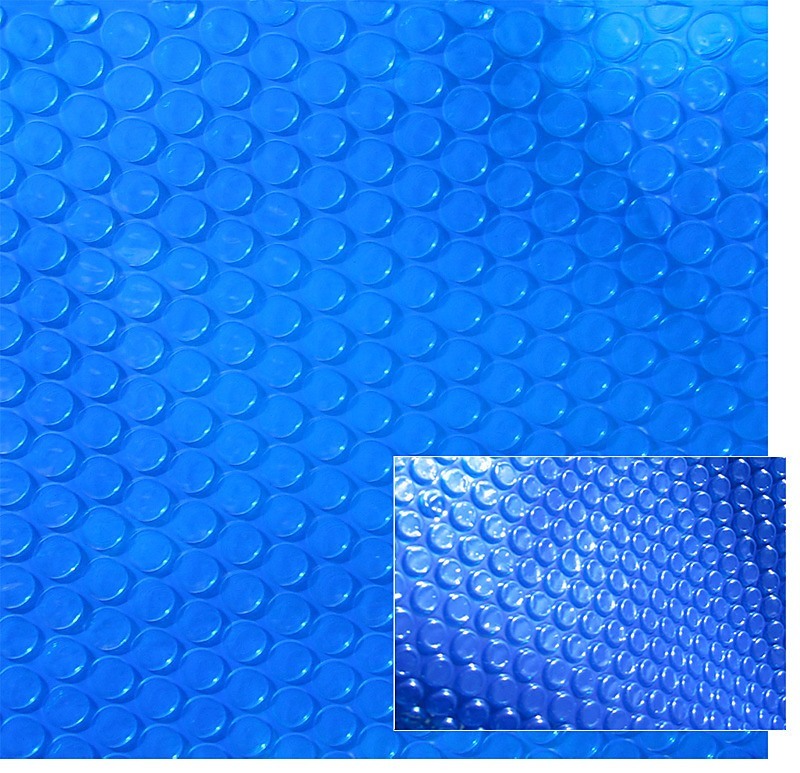 Both of these great advantages mean your costs for refilling and reheating the pool—not to mention the hassle!—will be significantly reduced with the pool cover blanket. The material is heavy-duty and built to last through all kinds of weather. You can even cut it to whatever shape you like to fit the exact dimensions of your pool. And setup couldn't be easier: roll out the blanket with bubbles face down, and trim to fit if necessary. 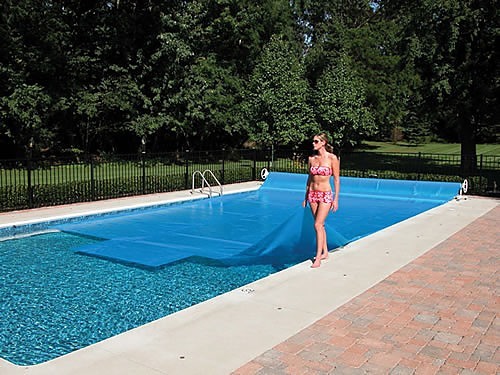 Not only can the pool cover blanket save on electricity costs and prevent the hassles of refilling the pool, but it will extend your swimming season and make pool fun more enjoyable. After all, you'll also benefit from your pool's protection from leaf, dirt, and other debris. Reduced contaminants mean your pool will look better, you won't have to use as many chemical cleaners, and you'll save a lot of cleaning time. 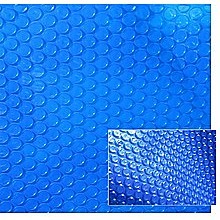 In no time, you'll find the pool cover blanket will pay for itself, in the form of reduced electricity costs as well as pool chemical costs! Additionally, you'll save wear and tear on your pool's filtration system, not to mention put an end to bothersome clogs. For preventing water evaporation, reducing chemical usage, eliminating leaf and dirt debris, and increasing your pool's water temperature—all which translate to even more pool fun and less maintenance—using a BARILOCHE Solar Pool Cover Blanket just makes sense! Note: Sizing is approximate size.